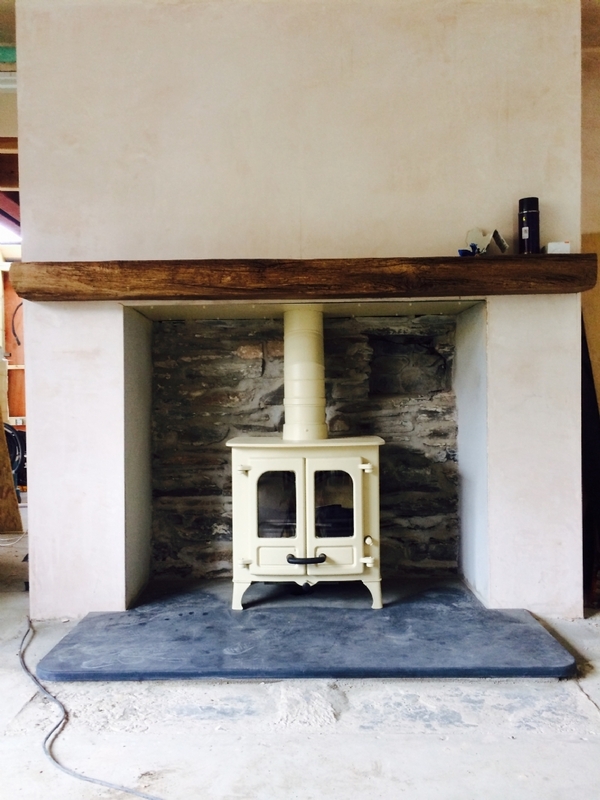 Charnwood Island in Almond wood burning stove installation from Kernow Fires. 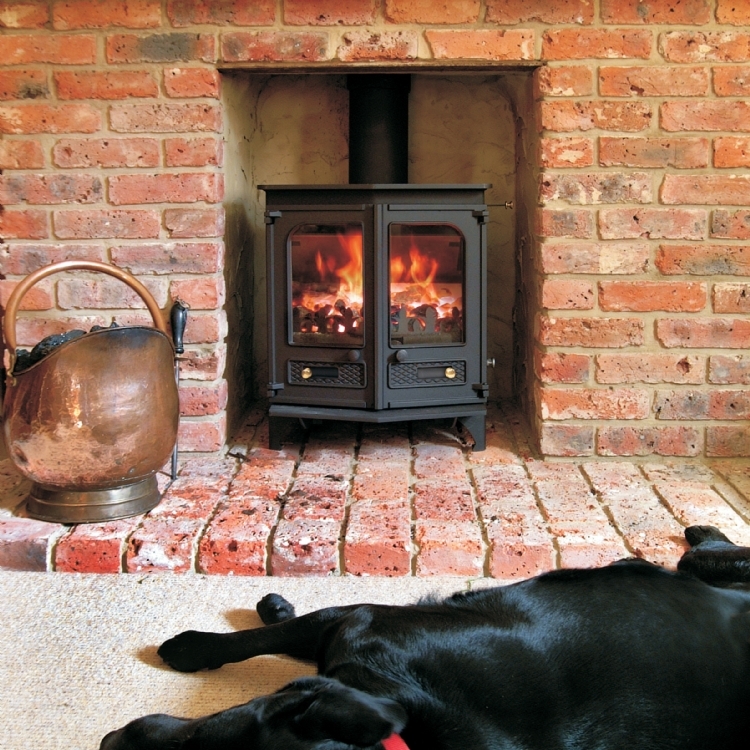 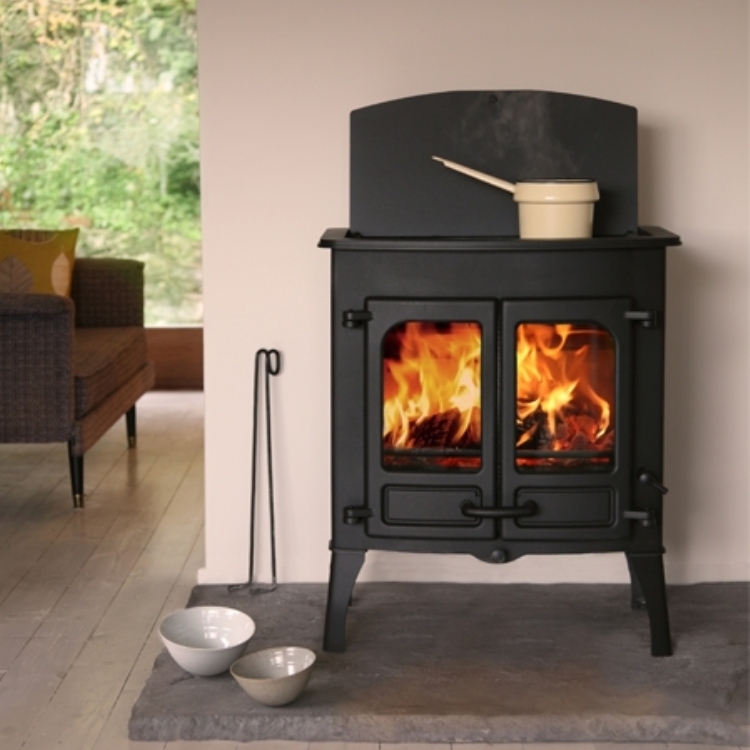 The Charnwood Island in almond is the perfect answer to this customers needs. 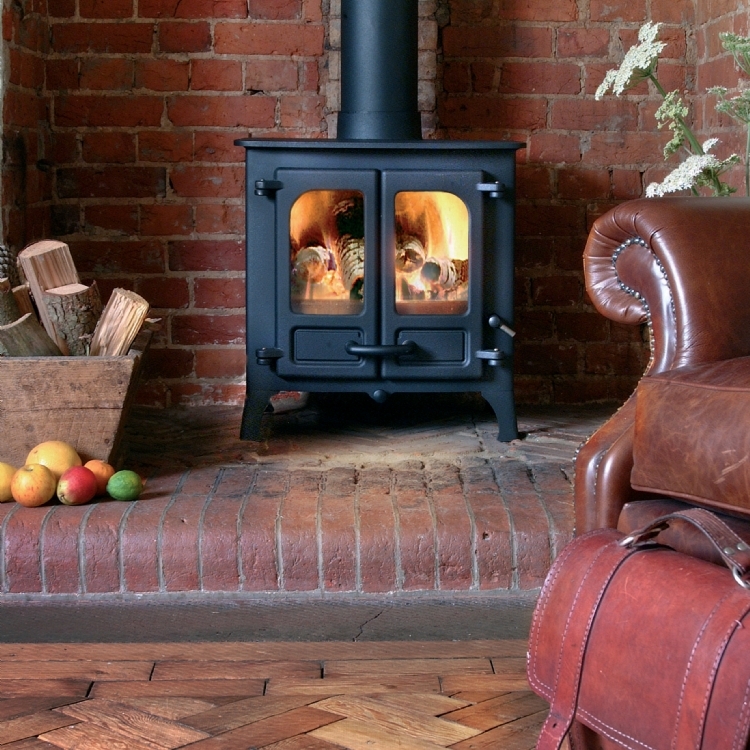 It fits beautifully into this setting and is a multi fuel stove.